Need professional plumbers? Then we are the best choice for you! It’s quick and easy to find a plumber for your home or office plumbing needs. Plumbing problems can be very serious, and can become expensive to fix if they’re left unattended for even a short period of time. 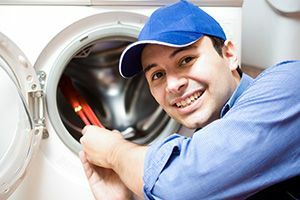 When you have leaks, tap squeaks and pipe creaks in your home or office then you need to hire an experienced plumber from Handyman Services Handymen! 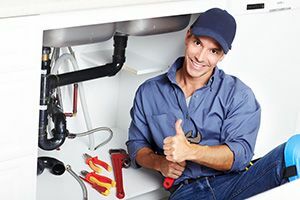 We’re one of the most reliable companies in the area when it comes to plumbing, and with lots of experience and some of the most skilled professionals in the business working for us, you really can’t go wrong with our company! No matter what sort of a plumbing job you have on your hands, we can guarantee that it’s nothing that our specialists won’t be able to handle! Whether you have serious pipe problems or if you just have a few concerns, you’re just a phone call away from hiring the best plumbers in the business. Call our company today on 020 8610 9016 to find out more information about our plumbing services, and to get yourself a free price quote too! Plumbing jobs can be difficult, and finding the right help for you when you need it isn’t always easy. When you have plumbing needs then the only phone number that you need to call is ours! Plumbing jobs need to be sorted as quickly as possible so that you don’t have to worry and so that your everyday life isn’t compromised by a broken shower or a toilet that won’t flush. This is where our company can help you. We have enough experience to help you with any task that you might have for us, whether you need help in your bathroom, your kitchen or even in your office. Our staff are just waiting to help you with our great range of services, including plumbing repairs, pipe maintenance, bathroom and kitchen pipe or water equipment installations, welding and even your average pipe leaks! There’s no end to the many ways in which our experts can help you, and if you need to find a plumber then we’re the best choice for you! Call us now on 020 8610 9016 for more information about the ways in which we can help you! Plumbing problems can have a huge effect on your life and the life or your family or your employees. When you suspect you have a problem you shouldn’t waste any time in trying to find the right plumber for the job, as this can cause the problem to worsen, which can be expensive for everyone involved! All you need to do is pick up the phone and call Handyman Services Handymen. In no time at all we can make sure that you have the professional help that’s just perfect for your needs. With our excellent range of plumbing services and amazingly skilled and talented team members, we’re sure to be able to provide you with everything that you need in your home or office! Not only can our company ensure that you have the best man for your job, but we can also make sure that you aren’t going to be paying extortionate prices either! In fact, all of our company’s great plumbing services are competitively priced so that you aren’t going to break the bank or your budget! If you’re interested to learn more then why not speak to one of our team members today by calling 020 8610 9016? You won’t regret it!